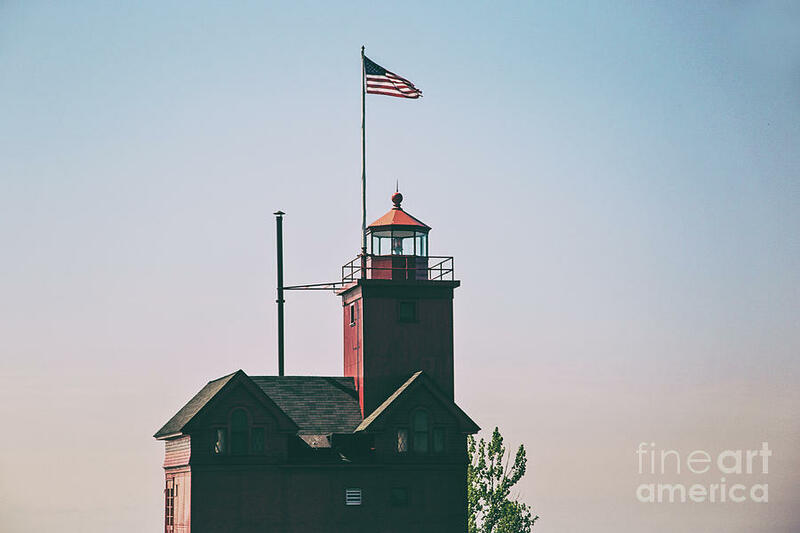 Big Red Lighthouse is a photograph by Scott Pellegrin which was uploaded on September 2nd, 2018. If you like my Art Gallery, please push the Pinterest, Facebook, Google+, Twitter or SU Buttons! Thank you. This can be cropped to standard sizes such as 8x10, 11x14 and 20x30. When viewing the image in print, canvas or framed print mode you can choose vertical or horizontal crop. Feel free to email with questions/comments. Thank you for looking. Fine Art Americas (FAA) watermark does NOT appear on sold art as FAA removes the watermark before each sold copy is "museum quality" printed onto canvass, photo-paper, metal, acrylic or any of FAA's many other available medias regardless of which one is chosen by the buyer. The Holland Harbor Light, known as Big Red, is located in Ottawa County, Michigan at the entrance of a channel connecting Lake Michigan with Lake Macatawa, and which gives access to the city of Holland, Michigan. The lighthouse is on the south side of the channel. There are two modern lights marking the ends of the breakwaters that extend out into the Lake Michigan beyond the lighthouse. Public access to Big Red is somewhat limited due to the fact one must cross private property to see the lighthouse up close. However, there are no barriers for walking into the lighthouse area. 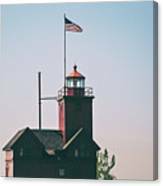 The best vantage points that are easily accessible to the general public are from across the channel at Holland State Park. 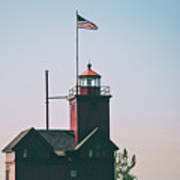 As of May 27, 2013 access by foot to the lighthouse is restricted to Tuesdays and Thursdays, from mid-morning to sunset. COPYRIGHT DISCLOSURE NOTICE: THIS IS A COPYRIGHTED, ALL RIGHTS RESERVED PROTECTED IMAGE.